Agilent Technologies Inc. introduced Advanced Design System DDR4 Compliance Test Bench, which enables a complete workflow for DDR4 engineers from simulation of a candidate design through measurement of the finished prototype. 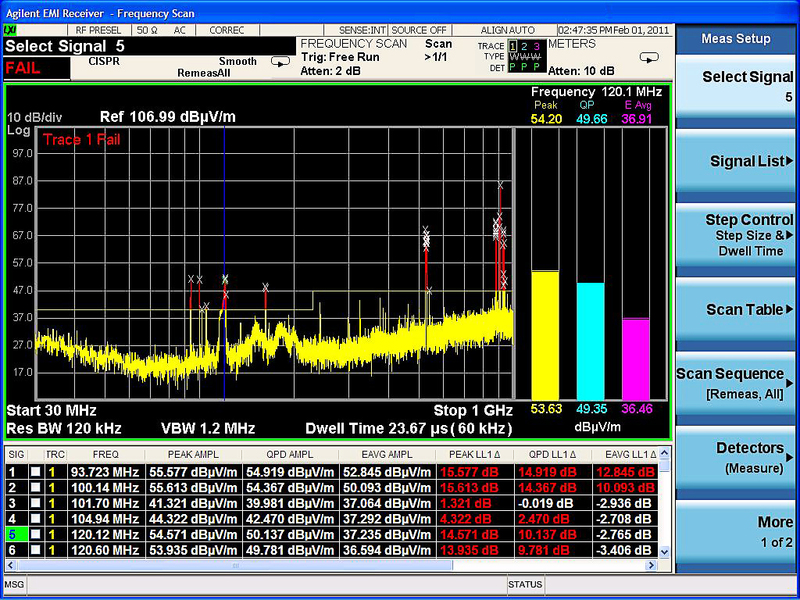 The compliance test bench is available as an add-on to Advanced Design System 2014.01 software from Agilent EEsof EDA. Agilent Technologies Inc. introduced the industry’s first power device analyzer for circuit design. The Agilent B1506A is a single-box solution that automatically characterizes all power device parameters across a wide range of operating conditions and temperatures (-50° C to +250° C), at up to 1500 amps and 3 kV. Agilent Technologies Inc. introduced two new high-performance portable oscilloscope series deploying next-generation oscilloscope technology. The Infiniium S?Series sets a new standard for signal integrity for bandwidths up to 8 GHz, while the InfiniiVision 6000 X-Series sets a new standard for price/performance with bandwidths up to 6 GHz. Agilent Technologies Inc. introduced the InfiniiMax III+ differential probes, a new generation of 4-, 8- and 13-GHz differential active probes for general-purpose, high-speed differential bus probing. The company also introduced new QuickTip accessories for InfiniiMax probes to help engineers make quick and reliable measurements. Agilent Technologies Inc. announced the availability of Reference Solutions, a combination of hardware, software and measurement expertise that delivers the essential components of electronic test systems. Reference Solutions also include utilities such as example program source code - highly optimized for specific applications - which show users how to get the most out of their test system. Agilent Technologies Inc. expanded the world’s most flexible PNA-X family of network analyzers with an 8.5 GHz model that more economically supports lower-frequency devices used in wireless communication applications (e.g., handsets, base stations, WLAN and other mobile communication devices).